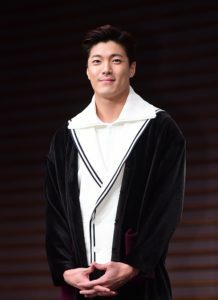 Starting his career with a supporting role in a sitcom, Lee Jae-yoon is currently known as a South Korean actor who is athletic and appears as a music video model of various singers and groups. Despite having his main job as an actor, Lee Jae-yoon has been awarded the New Star and Best Newcomer in the variety show category at the KBS Entertainment Awards for his sporty appearance on Cool Kiz on the Block. His acting skill cannot be underestimated as he has starred in many projects such as My Love by My Side, Queen of Ambition, and Heartless City. 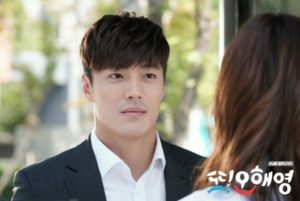 In this article, Channel-Korea will explain all about Lee Jae-yoon, including his full profile, list of television dramas, movies, and variety shows appearances, his love life, etc. So, keep reading! As stated previously, Lee Jae-yoon is a South Korean actor who has starred in many dramas as both lead roles and supporting roles. His face is mostly recognized from popular works such as I Have a Lover, Another Oh Hae Young, and Weightlifting Fairy Kim Bok-joo. Not only dramas and movies, Lee Jae-yoon also became a model for music videos and appeared on variety shows. In this section, Channel-Korea has compiled a list of television series, films, variety shows, and music videos that Lee Jae-yoon has starred and guested in. As of right now, Lee Jae-yoon does not have a girlfriend and is not married to anyone. In an interview with Singapore’s news outlet in 2017, Lee Jae-yoon said that swimming together in the ocean and diving together with the woman he loves will be activities that he would like to do on a romantic date. Moreover, he believes that he will always be sweet to his beloved woman. Aww, what a romantic guy! With such an impressive height, it would be a waste if Lee Jae-yoon did not manage his figure well. Fortunately, the actor has maintained his body in such great shape because he does Brazilia Jiu-jitsu two or three times a week for four hours each time and owns a purple belt in said sport. In addition, Lee Jae-yoon stated, “I also like swimming. Recently, I started lifting weights in the gym and working on my arms, chest, back, and shoulders. It’s quite fun”. Lee Jae-yoon revealed that he was never fat in the first place because he has always been sporty. His father and Bruce Lee became the figures who motivated him to be fit and healthy, “My father is really athletic and used to do a lot of martial arts. He holds a black belt in taekwondo and did kung fu. He was a big fan of Bruce Lee, so we had posters of Bruce Lee everywhere at home when I was a kid. I was inspired to be like Bruce Lee, an Asian guy who represented Asian toughness. After watching his films, I bought two dumbbells to get fit!”. The actor also said that he wants to try new sports such as boxing and martial arts whereas he also has tried to learn surfing in Bali, Indonesia.